Do you like gardens? I haven’t met many people who would answer no to that question. There are many different types of garden however, and everyone has their own favourite. Do you admire a chic urban courtyard or an old fashioned cottage garden? Do you fantasise about an immaculate lawn to match Centre Court, or a veg patch where you can grow your own gourmet food? Do you feel more comfortable on a Mediterranean terrace, in a tropical oasis, or a quite woodland glade? Or if you’re like me, you want all of the above. I’ll be at the RHS Cardiff Flower Show in Bute Park from April 7-9 looking at the full variety of show gardens, plants and gardening ideas. 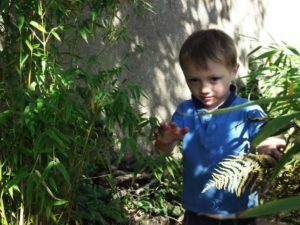 My grandparents had a wonderful garden with an orchard, a veg patch, a greenhouse, a pond, a lawn, and some large trees and shrubs a small boy could hide in or make a den underneath. I know now that the holidays spent there left a powerful impression on me – sowed a seed even! When I grew up and got my own garden, I enjoyed creating a beautiful outdoor space, however small. I had somehow absorbed a desire to sit outside next to things that smell nice, to grow a few things I could cook with, and to create an outdoor room to relax in. 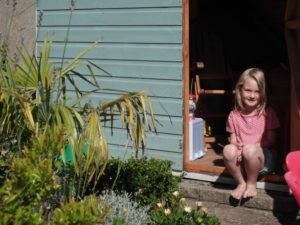 Now I couldn’t imagine living in a house without a garden, and for my own children, I’ve wanted to create somewhere to explore, get close to nature, and enjoy, just like I did when I was their age. Do you enjoy gardening? Less people would answer yes to that. But everyone has different expectations of what gardening involves. I’ve spoken to many people who admire beautiful plants and gardens but have been convinced that it is too difficult, time consuming or expensive to create one themselves. That’s why I created The Green Fingered Blog. I’ve spent years creating an eclectic mix of a garden, including as many different styles as possible, if only to satisfy my own cravings. I’ve visited many large gardens of various styles and come away from each with an idea for something I wanted in my own garden. With a full time job and a young family, I didn’t have unlimited time and resources. I developed ideas to achieve my desired effect without too much hard labour, and got creative in recycling and using things I’ve found, to reduce costs. I’ve still spent a small fortune on plants, because I can’t help myself, but I have also proved you don’t have to, if you grow from seed and replant things that seed themselves around the garden. 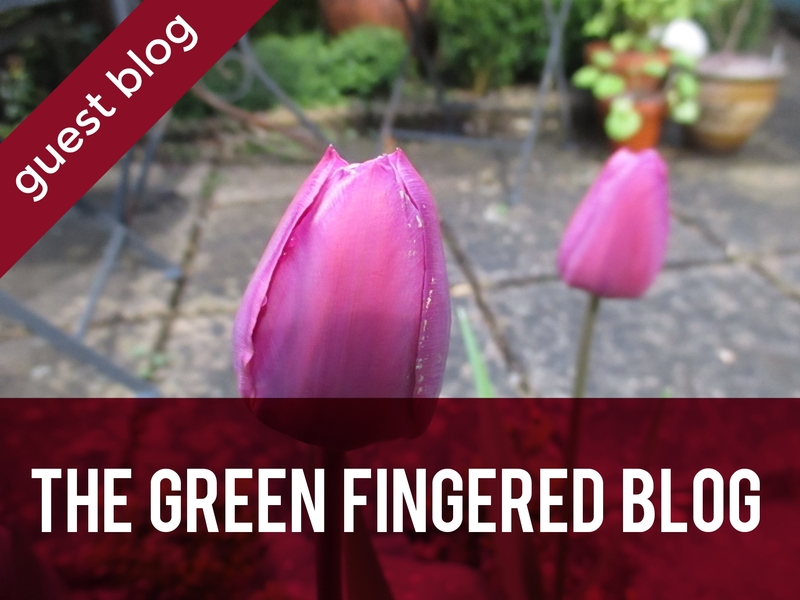 The Green Fingered Blog is a growing collection of these ideas, with pieces of inspiration from either my own imagination or from things I’ve seen in other gardens. I hope by reading the blog people will believe that they can use simple and cost effective ways to create a garden they enjoy. You don’t have to break your back, spend every waking hour, or every penny you have on it if you don’t want to. I like to write about planning and designing, finding the right plants and learning how to look after them, as well as little pieces of inspiration to make the garden a special place to spend time in. 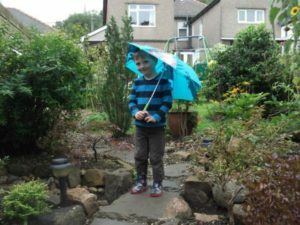 And I can guarantee that it all originates from my own personal experience of planning, developing and maintaining my own garden – a real, everyday garden (about 35m x 10m) in Tongwynlais. There are so many ways to use whatever outdoor space you have. You might want a play area for children, a haven for wildlife, somewhere for quiet relaxation or for busy social occasions. The variations are endless. And you might be lucky enough to own several acres, or be limited to a balcony. However big, it’s your space and you can do whatever you like with it. What do you want from your garden is the key question. Why not let the Green Fingered Blogger help? Join me on my blog and please get in touch, via the blog, Facebook and Twitter to share ideas or tell me about your garden. Make sure you follow me during the RHS Cardiff Show. I’ll be sharing all my favourite things from the show on Twitter and posting the highlights on my Facebook page.